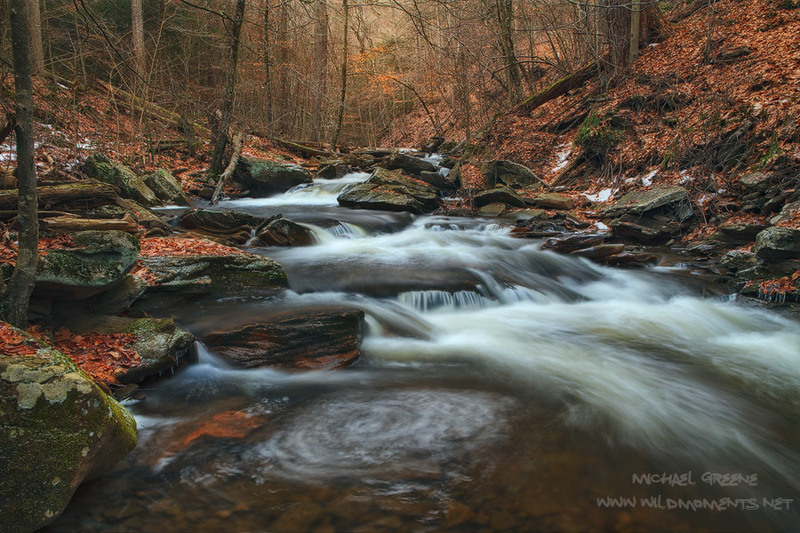 A winter view of Kitchen Creek in the late afternoon during a stormy day. You may notice a small amount of dappled sunlight in the background of this image. This park is located in Northeastern PA near the city of Williamsport. Photo © copyright by Michael Greene.